The thing about being a second child is that you usually don't get anything new. This is especially so if you have an elder sibling of the same gender. For most of the time, if not all, you wear hand-me-downs, you play with old toys, you sleep in a used baby cot and you don't wear shoes because Mummy has realised that since your little feet outgrow them in weeks or days, shoes are simply impractical. When Ten Tiny Toes offered to send over a pair of Shupeas which looks comfortable, cute and totally brand new, I could almost hear Ariel shouting "Hooray! Look, I have NEW shoes!" The great thing about Shupeas is that it is not just one pair of shoes. In fact, with 4 sizes in 1, it is the first expandable and adjustable baby shoe designed to fit babies from 0-18 months. How would you react to that, just one pair of shoes to fit your baby till she is nearly two? I jumped for joy. I hope it is not just me when I say that I don't like seeing elastic marks on my baby's delicate skin, not around the ankles, not around the waist, not anywhere. When a baby weighs no more than 7kg, she probably wants a pair of shoes that weighs less than 70g. This is especially important when the baby is learning to walk and you don't want a pair of heavy shoes to confine her mobility. The choice of fabric is also crucial as this will allow healthy development of those tiny feet in comfortable conditions. This has always been a dream when it comes to babies and shoes. 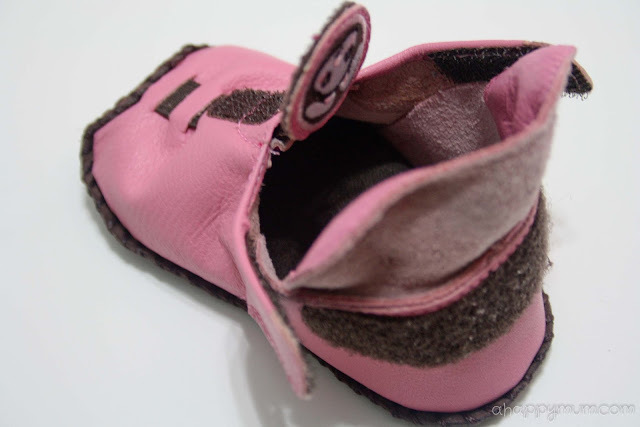 Recommended by pediatricians and podiatrists, Shupeas is made of 100% leather, uses high quality material for durability and protection, has slip-resistant suede soles and contains mocassin padded insole for that extra comfort. I can say that Shupeas has more than met my needs in a pair of baby shoes. For those who are not into leather, there is also a vegan series available. 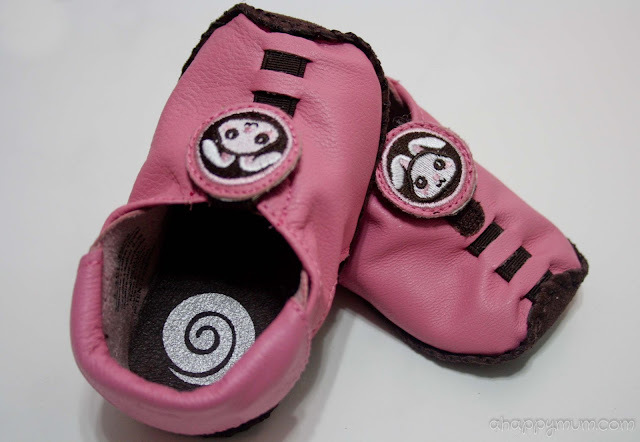 In addition, these shoes come in fun colours and lovely designs and that just ups the cute factor in a baby. Check out the bunny medallion on Ariel's shoes, isn't it adorable? You can also choose to wear them with or without socks, depending on whether you are in a hurry to get out of the house or if you are able to find a pair of matching socks in the pile of clean laundry. A pair of shoes that has four sizes, it might sound complicated in design and hard to wear. Indeed, that was my initial assumption when I heard about Shupeas and it was only when I tried them onto my girl and realised that I couldn't be further away from the truth. Puting on Shupeas is as easy as 1-2-3! 1) Lift rear flap, release velcro straps. 2) Open wide, insert foot and tighten velcro straps around ankle to secure. 3) Lift medallion, pull forward to adjust, leaving around 1/4" in front of toes. I particularly loved how wide the entry could be which allows maximum ease of entry. With a lively baby who loves to kick her feet to show her joy, this comes in really handy. Nowadays, we go out to the streets and Ariel does not need to wear socks which can be hot for her feet and she also does not need to be barefooted too. Most importantly, it is a relief for me to know that once I secure these shoes, they stay on properly and there will not be a need to hunt around the MRT train for a missing shoe. Knowing that she now owns the most versatile baby shoes which are a perfect fit for her precious feet, I am definitely looking forward to seeing her take her first step. 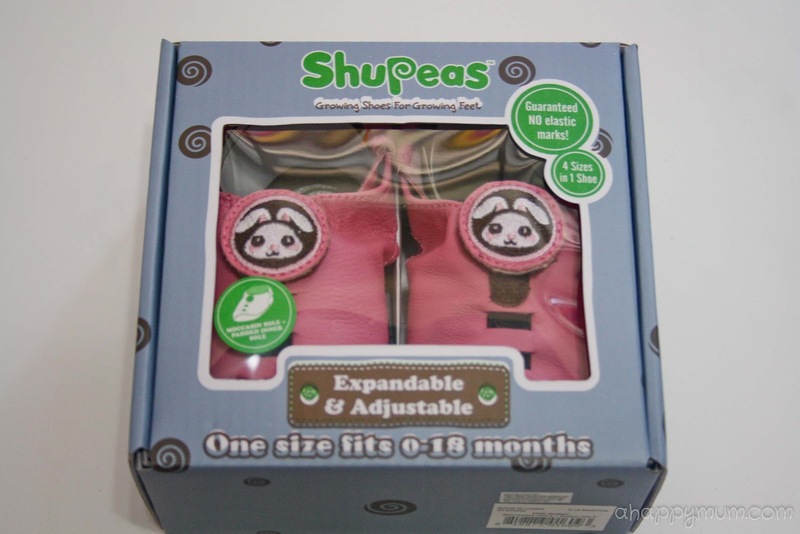 Ten Tiny Toes is the reseller of Shupeas in Singapore and you can now find these shoes in Baby Meadows (50 East Coast Road, Roxy Square One, #01-75), Mums and Babes (United Square, 101 Thomson Rd, #01-89) and Isetan Katong (Parkway Parade, 80 Marine Parade Road). 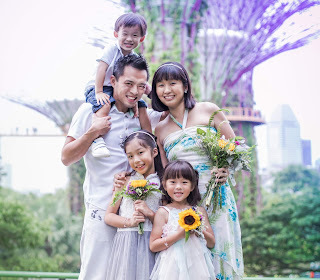 For more information, visit www.tentinytoes.com.sg. 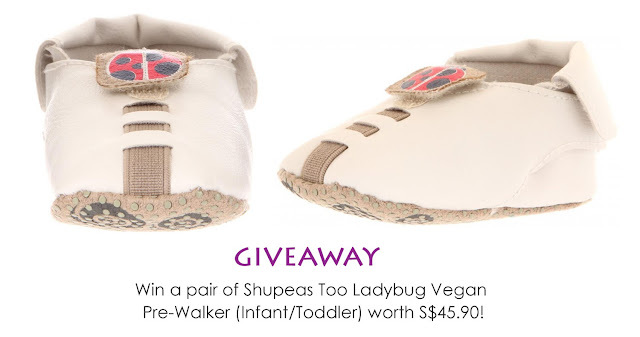 How would you like to win a pair of Shupeas for your little one too? A Happy Mum is now giving away a pair of Shupeas Too Ladybug Vegan to one lucky reader. 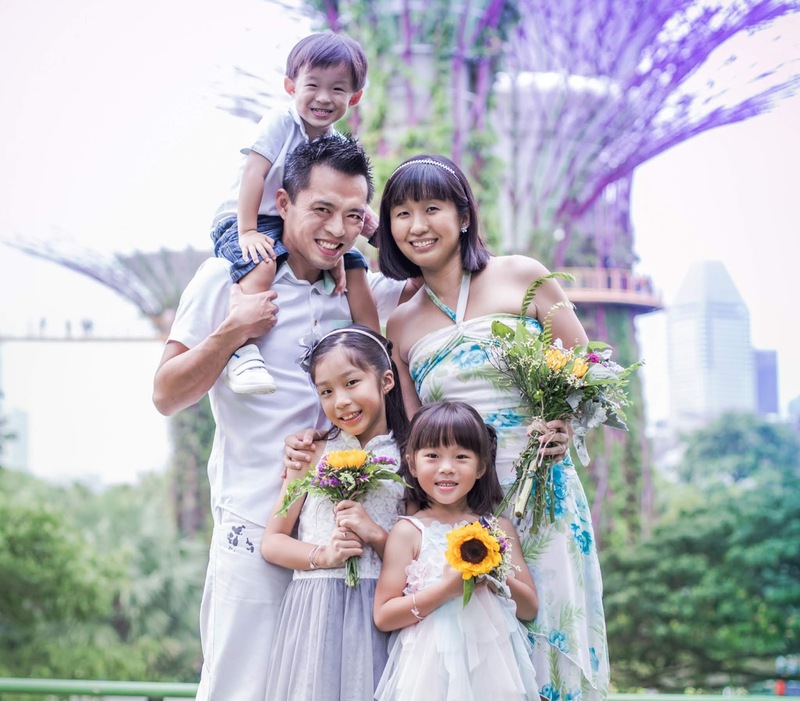 This is open to readers residing in Singapore only. Simply follow the steps below to enter. Disclosure: Ariel received a pair of complimentary Shupeas Bunny Pre-walker from Ten Tiny Toes so that Mummy could write this review. No monetary compensation was received and all opinions are our own. Ariel is definitely loving her new pair of comfy shupeas ! Its so cool to have 4 sizes in a pair of shoes ! Would love to win a pair for Baby Vera ! My biggest baby shoe woe is that the opening, though elastic, is too tight, and causes red marks to form around his ankles. Very nice giveaway! And very cute choice for a pair of shoes! :) Definitely something worth checking out I think! Thank you for this giveaway. My princess Kayla is now 2.5 months old so we have not started her on shoes yet. However, I'd really love to win this pair of shoes that is easy to put on, as my little sweetheart loves to kick a lot, and won't fall off, for the same reason. Thank you for hosting this giveaway! :) My boy is coming to 7 months old and i would love to let him try this pair of shoes. I like the fact that it is easy to wear and parents need not worry about finding a missing shoe on crowded trains/buses especially when my boy kicks almost every other minute! Thank you for hosting this giveaway! My lil' terrorist like to peel off her foot wear! And I totally understand the trouble hunt for missing shoes. Worst still, stalking her foot while she is on the stroller is driving me crazy! My biggest baby shoe woe is baby outgrow them too fast. Wear a few times and it no longer fits. Would love to win this pair of Shupeas for my favorite colleague who is expecting to "pop" this coming September. It would be a great gift for her son! 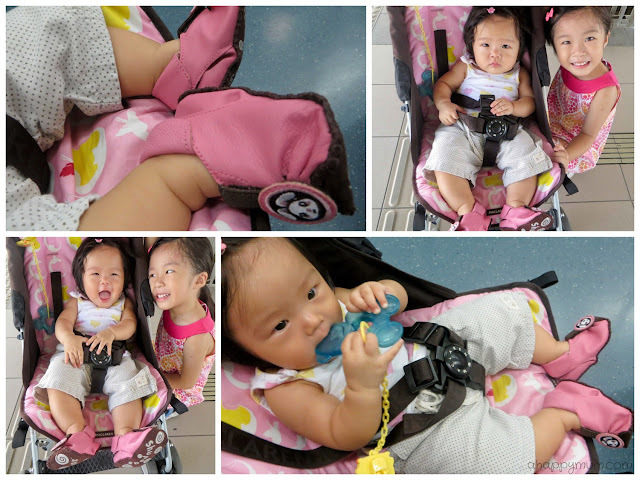 My biggest shoe woe is finding a soft yet sturdy walking shoe for my walking infant. Most walking shoes are either too hard or too inflexible for him to walk properly in. Hope to win a pair for my younger boy to walk with! I believe in soft soles in the beginning progressing to harder soles as they become more stable. Babies can walk anytime between 10 months to 2 years, and it's not easy to predict how long each phase will last so it's not easy to find shoes that will fit them! Finally a useful money-saving invention! Mine will definitely be a pair that does not fall off easily and does not come only in stereotypical colours for the two genders.